Urban beekeeping can help improve pollination for plants in Edmonton, which in turn helps to improve the overall biodiversity and resilience of our city. Urban beekeeping can also provide valuable educational and recreational opportunities for people to connect to nature and to our food system. Beekeeping is a completely safe activity in residential areas with good management practices. In recognition of the potential value of urban beekeeping, City Council passed an amendment to the Animal Licensing and Control Bylaw on April 28, 2015 to permit beekeeping in the city. Check out the City's urban beekeeping video campaign as we buzzt some common myths about bees and give you the real facts! In 2018, the City is working with 20 existing sites and beekeepers to pilot allowing two hives per site. In 2018, the City is working with one community garden group to pilot urban beekeeping in their garden. The intention of the program is support urban beekeeping as a hobby and non-commercial activity. 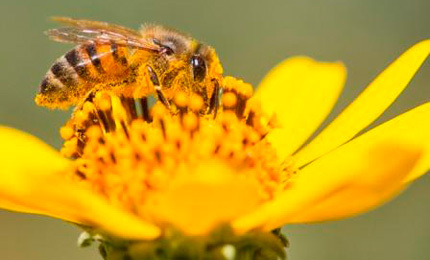 You cannot sell your bees, honey, wax, or any beekeeping products. An application is not a guarantee that you will get a licence. It is in your best interest not to invest in bees, equipment, etc. until you get your licence. The City of Edmonton has the discretion to not approve licenses due to documentation of medical concerns from neighbouring properties. It is important to understand the commitment and responsibilities required to become a successful and safe beekeeper. The Urban Beekeeping Guidelines help residents understand the expectations that the City has for beekeepers. Interested beekeepers will also benefit from connecting with the beekeeping community and talking to existing beekeepers to learn more about what it takes to keep bees in the city. As part of the Animal Health Act, owners of bees must have a premises identification account and premises identification number for the bees. This requirement is a part of a traceability system designed to address potential threats of disease outbreaks that could affect animal health, public health and food safety. As a part of the Bee Act and Regulation, beekeepers must register with the Provincial Apiculturist every year by June 30. Using the online request form, apply for a license with the City. Be prepared to provide information about your beekeeping site, your training and your mentor if you are a first time beekeeper. A swarm of honey bees is not dangerous. Swarms typically occur when about half of the bees in a colony leave with the queen to form a new colony. Swarming is the natural means of reproduction for honey bee colonies. In the event that a honey bee swarm lands on your property, call 311 to inform the City of the swarm or contact the Alberta Beekeeper's Association and they will send out a beekeeper to remove the swarm at no cost. All adjacent neighbours must sign the notification letter as part of beekeeper application process.